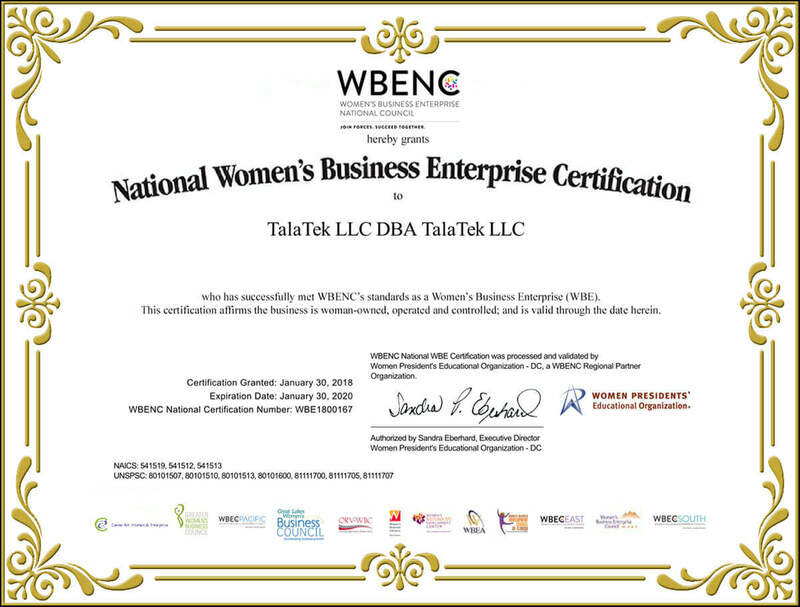 “TalaTek has been a highly valuable advisor to our team. Led by Baan Alsinawi, TalaTek team members are professional, knowledgeable, and analytical. They have brought experience and perspective to support both the business and technical aspects of the creation of our information assurances processes and standards.